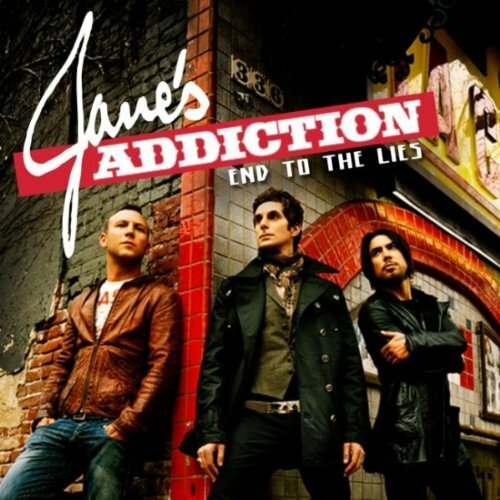 End To The Lies is the digital single from the Jane’s Addiction album The Great Escape Artist. The single was released on April 7, 2011 via the band’s website, where a 128kbit version was given away for free for a limited time. A higher quality version were also released on Amazon and iTunes music stores. An early mix of this song was premiered on Chilean radio station Radio Futuro 88.9 on the La Ley del Roc program promoting Lollapaloza 2011 Chile. In addition to the digital single, there is an NTSC promo DVD from Parlophone and an Australian PAL promo DVD from EMI. The NTSC version contains a full-screen (4:3) censored version of the music video as well as a music video from the bands Coldplay and Dom. The PAL version also contains the full-screen censored music video, along with videos from four other EMI artists.